The hotly contested races, which have triggered lawsuits, will determine the size of the Republican majority. Democratic Senate candidate Kyrsten Sinema has expanded her lead over Republican Martha McSally in the Arizona Senate race as officials continue to tally mail-in ballots – a change in fortunes that could narrow the size of the Republican majority next year. The contest to replace retiring Sen. Jeff Flake, R-Ariz., is one of three that remain unresolved nationwide. While Republicans are certain to control the Senate next year, the strength of their majority could be less than it appeared on Tuesday. In the Florida Senate race, the lead of Republican Gov. Rick Scott had narrowed to just more than 15,000 votes, 0.18 percent, over Democratic Sen. Bill Nelson as of Thursday night. 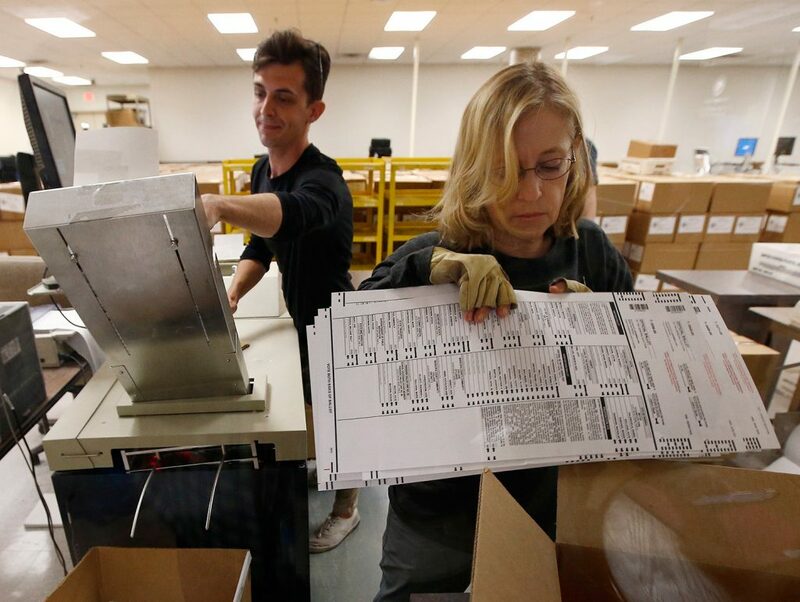 That race is headed for a recount and could be mired in lawsuits. Meanwhile, a race for a Mississippi Senate seat is headed for a runoff on Nov. 27. Appointed Republican Sen. Cindy Hyde-Smith faces Democratic challenger Mike Espy. Both candidates had about 41 percent of the vote on Tuesday. As it stands now, Republicans will hold at least 51 seats in the Senate come January, while Democrats will hold at least 46, including two that will be held by independents who caucus with the Democrats. Republicans now have a 51-49 majority in the Senate. In Arizona, four county Republican parties sued Wednesday to prevent county recorders from trying to verify signatures after polls closed for mail-in ballots. That drew a rebuke from the wife of late Republican senator John McCain, R-Ariz.
Senate Minority Leader Charles Schumer, D-N.Y., warned Trump and Scott against trying to influence vote-counting. “In a democracy, no one – not even the President – can prevent the lawful counting of votes. We will not allow him or anyone else to steal this election,” he wrote of Trump on Twitter.